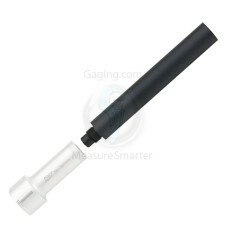 Fowler/Bowers XT Bore Gage Extensions are on sale at Gaging.com! 54-336-301 Bowers XT Extension 2.5" Length for Head Range .250 - .375"
The 54-336-301 Bowers XT Extension 2.5" Length for Head Range .250 - .375" / 6 - 10mm is on sale at ..
54-336-302 Bowers XT Extension 3" Length for Head Range .375 - .500"
The 54-336-302 Bowers XT Extension 3" Length for Head Range .375 - .500" / 10 - 12.5mm is on sale at..
54-336-303 Bowers XT Extension 4" Length for Head Range .500 - .750"
The 54-336-303 Bowers XT Extension 4" Length for Head Range .500 - .750" / 12.5 - 20mm is on sale at..
54-336-304 Bowers XT Extension 6" Length for Head Range .750 - 2"
The 54-336-304 Bowers XT Extension 6" Length for Head Range .750 - 2" / 20 - 50mm is on sale at Gagi.. The 54-336-305 Bowers XT Extension 6" Length for Head Range 2" / 50mm and up is on sale at Gaging.co.. The 54-336-306 Bowers XT Extension 20" Length for Head Range .750" and up is on sale at Gaging.com.&..